In our modern daily lives, there are some essential skills that are slowly becoming lost. Things like changing a vehicle tire, fixing an appliance… or getting certified in CPR. CPR is used most often in cases of heart attacks, similar cardiac problems, or drowning, all of which are fairly common events across the United States. While more people are becoming interested in learning how to perform CPR, the reach is still slow and many schools and public places lack personnel who have the know-how. Cardiac arrest and unintentional drowning are two leading causes of death in the United States – with the former being the third leading cause of death, and the latter being the fifth most common cause of accidental death. In many of these cases, it is absolutely crucial for help to be performed even before the paramedics have a chance to get to the scene. For instance, simply by performing CPR on a person who has suffered sudden cardiac arrest, you can do as much as double their chances of surviving the event. Currently, it is estimated that CPR is performed in less than half of cardiac arrest cases before they are taken to emergency care. Cardiac arrest events happen often at the patient’s home, as well as during water activities such as swimming and boating, especially in the warmer months. The Red Cross even recommends that at least one person in every household should be trained in CPR. If you are searching for a job in areas such as childcare, au-pairing or health, it is often a big plus to have CPR certification listed on your resume. What do you learn in a CPR course? What you can do to help, and when to call for 911. The course will also teach the difference in techniques required for adults, children or babies; children and babies are more fragile than adults, and often need less strength and closer attention paid to them, so that they are not injured during CPR. In the case that CPR does not work, you will also learn, step by step, how to use an AED, or automated external defibrillator. This device is used to try and restore the patient’s heartbeat, by applying electricity to the chest area and heart. After you have gone through all the stages of the course, you can receive certification, after payment, by taking a test on what you have learned. A CPR and AED course is fairly short, although it can range from 20 minutes to about 3 hours, depending on the size of the class that you are in, and the instructor who is teaching the course. Additionally, you have the option to choose online or offline courses. 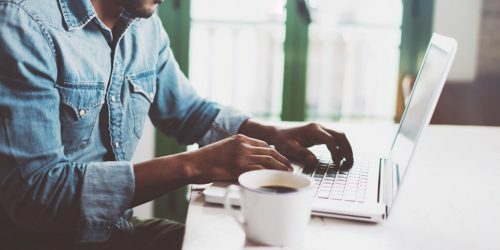 Online courses are typically shorter as you will be the only one going through the class, and you can also choose the pace you learn at. This is ideal especially for people who are not able to easily access courses in their area or who have strict daily schedules. Offline courses are perfect for people who prefer a hands-on learning experience, and who are able to travel to their destination easily. 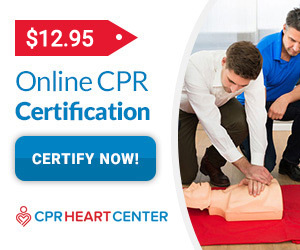 When finding a course that will help you get CPR certified, it is important to check that the courses are valid, accredited, and taught by instructors who are themselves licensed and qualified to teach. Avoid any sites or organizations that seem suspicious or lacking in trustworthiness. After all, this skill can mean the difference between life and death. CPRHeartCenter’s classes are, for instance, endorsed by qualified professionals from the American Heart Association (AHA). 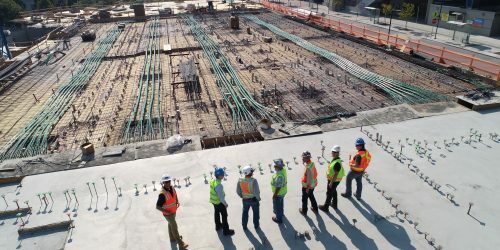 They also adhere to the standards set by the Occupational Safety and Health Administration’s Best Practices. Certificates issued by us are recognized both nationally and internationally. Upon completion of the test, your certification is valid for two years. After the two years, it is optimal to refresh the memory and skills of people who have already taken the test before. This helps ensure the health of patients, as well as update and better the knowledge of possible first responders. Recertification is often a much speedier process than the original test. People who are looking to recertify can simply opt to go straight to the test and bypass the teaching modules. If they feel that they require more studying or if they have forgotten parts of their previous training, they are encouraged to re-read and retake said modules. The procedure of recertification can be over in as little as fifteen minutes, depending on the skill and confidence of the test taker. With so many good reasons, why not sign up to be certified in CPR today? Take a look through our site, and read through the various courses and certifications we offer aside from CPR and AED or First-Aid certification; you could come away tomorrow with a practical new competency.